While the Republican-controlled U.S. Congress and the White House are trying to enact an immigration policy that is entirely questionable, the country of Peru is trying to make immigration more rational in keeping with developing its economy. As of the beginning of this year, the Peruvian Migration Office has published new rules for those would-be expatriates and would-be immigrants for how one can enter and stay in the country. For those who temporarily go to Peru, the Peruvian government will grant visas for 183 for tourists and volunteers, and visas for 365 days for researchers, business partners and temporary workers. Further, the Peruvian government will grant visas for 90 days for artists and athletes, and visas for 30 days in the case of international crews such as journalists for example. 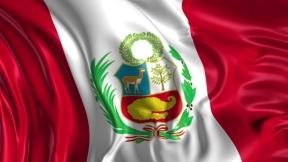 In the case of more permanent residents, the Peruvian government will issue visas for 365 days (one year) for those who are professional experts, volunteers working in government and non-government entities, students, retirees, and religious volunteers. Those who do business in Peru who bring in not only money but provide job opportunities for Peruvians can also qualify for an investor visa. Of course, Peruvian citizens are not limited to whom they may marry or the children they can adopt. The new laws provide for the Peruvian authorities to strengthen their border checkpoints and for expulsion for up to 15 years for those who violate Peru’s immigration laws. This is not unacceptable. The whole thing is basically to bring in badly needed tax revenue for the country. This makes perfect sense, and is in line with, for example, Canada’s immigration laws which do much the same thing. The laws are clear, and try to accommodate those who wish to go to Peru. At a time when a number of countries are letting economics drive their immigration policies, the United States is trying to politicize its immigration policy along religious and yes along racialist lines. This is an example of how NOT to run an immigration policy. It looks like the United States is trying to set up a quota system very similar to what existed from 1921 to 1965 when the U.S. government under U.S. President Lyndon Johnson replaced it with the more equitable Immigration and Nationality Act. It seems that the U.S. government under President Donald Trump is trying to go backward to a failed and unfair racist policy that in the end did not benefit the United States or the American people. Frankly, I am getting tired of immigration, like our healthcare, being played around with like a political football.